Hemavan Tärnaby has several well-stocked ski rental shops right by the slopes. We have equipment for beginners and advanced skiers alike. Hiring your equipment is the best option if you only ski for a couple of weeks a year, or you fancy trying something new! The skis are always freshly waxed and polished ready for you to hit the piste. 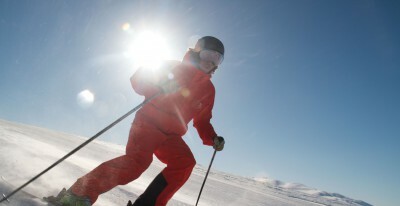 Every season, we also add a selection of new ski rental products to the list. The three ski rental shops in Hemavan offer all the equipment you need for alpine, snowboarding and telemarking. You can also hire a helmet at all three outlets. The best range of randonée equipment, touring and cross-country skis, pulk sleds and climbing skins can be found at Fjällparken. We carry products from leading names such as Head, Rossignol, Scarpa, K2 and Fischer. 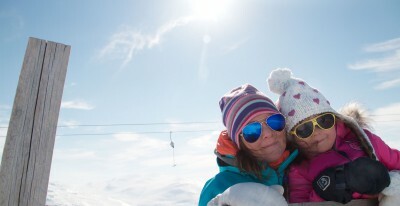 The ski rental shop in Tärnaby offer equipment for alpine, freeskiing, snowboard, randonée and touring. Pulk sleds and snowshoes is also avalable for rent. Here you find products from Extrem, FACTION, Nordica, Dynafit, Madshus, Scott and Head. You can order your ski equipment up until two days before you need it. We have equipment for beginners and advanced skiers alike. 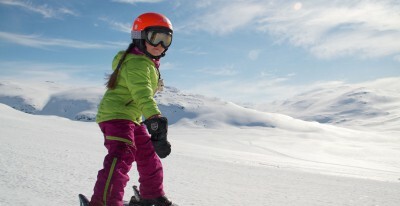 The ski rental and sports shops are all within easy reach of the slopes and in most cases close to your accommodation. Visit one of our ski shops and get your skis fixed! 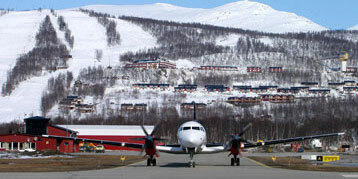 Visitors who fly to the mountains can enjoy a 25% discount on ski rental.